Found this guy (gal? 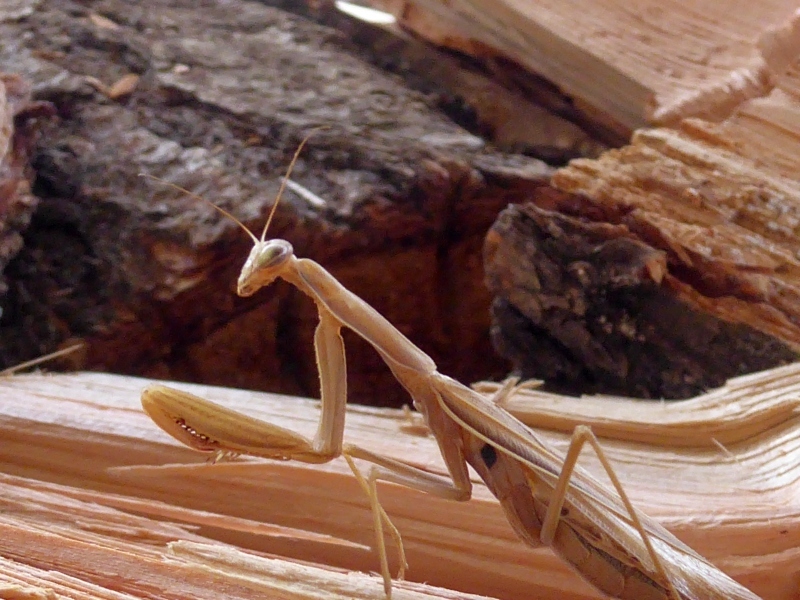 -- probably) on our woodpile last week. Notice how well she blends in with her surroundings. 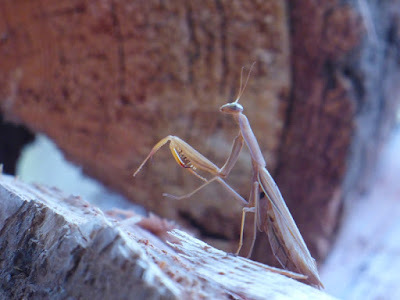 Praying mantises are fascinatingly creepy. Everything about them -- from their lightening-fast, powerful arms to their propensity to eat their mates to their opportunistic grabbing of prey even as big as hummingbirds -- makes me glad they're only a few inches long. You know all those zombie movies that are so popular? 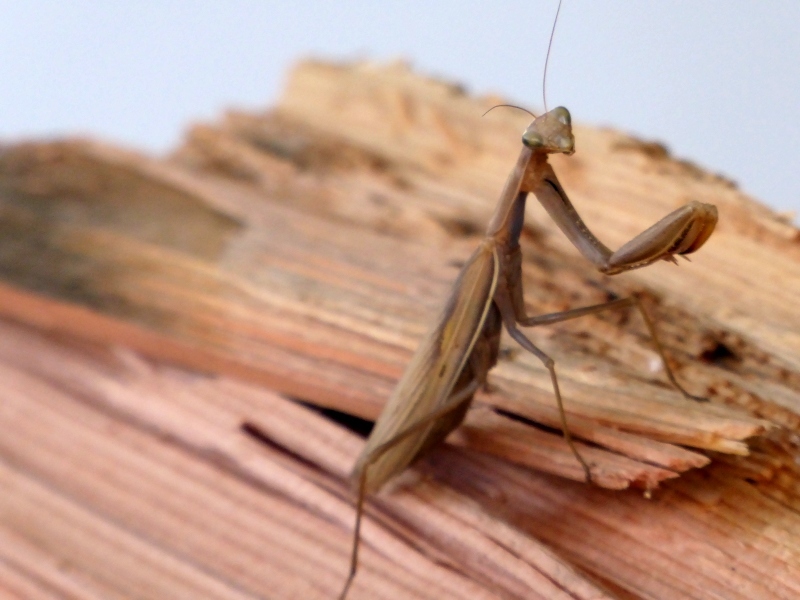 Well, to me mantises are the zombies of the insect world. They want brains, man. They're slow and fast at the same time. They're relentless in their stalking. We put out hummingbird feeders every year. 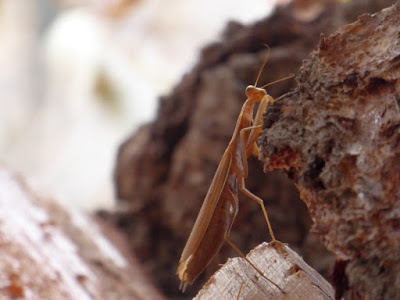 I saw a praying mantis take one last year. You could hear the bones being crunched while he was eating. Ever since that time if we see one anywhere near the feeders we move them way away from that area. They are really icky to handle with your hand. 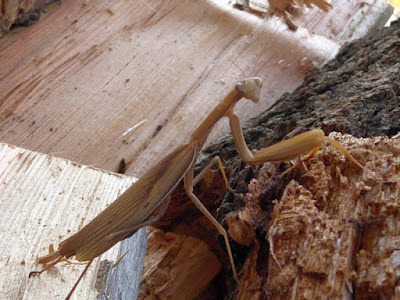 A few summers ago three of these creatures took up residence on house plants I had on the window sill over my kitchen sink . Flies also seem to gravitate to the house plants ,They kept me entertained for months ! 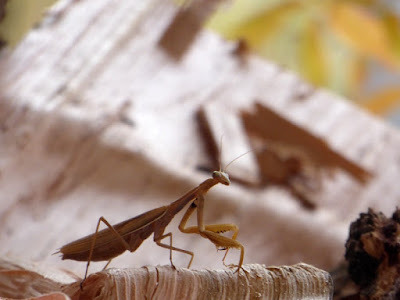 Just one more of the billions of curious things God has put on the earth to keep us learning. One of my favorite 1950's sci-fi "B" movies is The Deadly Mantis. 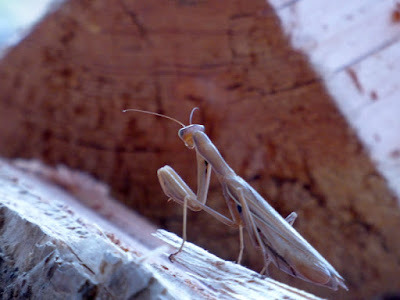 My favorite non winged insect.